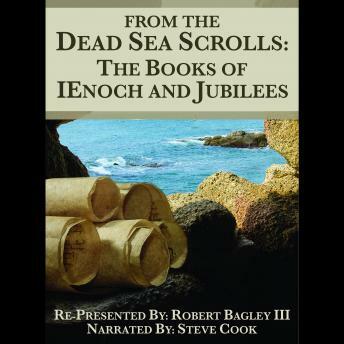 Listen to "From The Dead Sea Scrolls: The Books of 1Enoch & Jubilees" on your iOS and Android device. Why is The Book of 1Enoch is directly quoted in the New Testament by Jude (vv.14-15). Themes of the book referenced in 2 Peter 2:1. Jesus also used content from The Book of Enoch in many of his sermons in Matthew and Luke. The first 36 chapters have been considered scripture in the Ethiopic Coptic Church (a church that ascribes their founder as the Apostle John). It was one of the most significant Jewish Pseudepigrapha (writings ascribed to some other than the real author). It is believed that The Book of 1Enoch was taken out of the Jewish Canon by the Sanhedrin just after Jesus' death because of the prophesies they thought pointed to Jesus as the Messiah. However, The Oxford Dictionary of the Christian Church states, "...this view has been increasingly questioned, especially since the discovery of the Qumran fragments [where Dead Sea Scrolls were found]; for although all the other sections of 1 Enoch are well represented in these fragments, the messianic chapters (37-71) were not represented at all. Nor are they represented in the Greek and Latin fragments. It is probable, therefore, that they are a later (Christian) insertion into the Book and that it was the New Testament which influenced them rather than vice versa." Between 1947 and 1956, approximately 15 copies of the "Book of Jubilees" were found among the Dead Sea Scrolls. This is second only in number to Psalms, Deuteronomy, Isaiah, Exodus, and Genesis, and far greater than any other extra-biblical text found there, including The Book of 1Enoch. Also called the "Little Genesis," "Lesser Genesis", "Book of Divisions," and the "Apocalypse of Moses," the "Book of Jubilees" is an apocryphal work (not accepted as Scripture) which historians believe was delivered to Moses by God on Mount Sinai. It was almost lost over thousands of years, but was retrieved from the Ethiopic language. It re-interprets the contents of Genesis 1 - Exodus 12 (or according to some scholars, Genesis 1 - Exodus 15:22 or Exodus 16), which are here arranged in 49 periods, each of 49 years in length, the whole forming a Jubilee of Jubilees (Lev 25: 8-13).